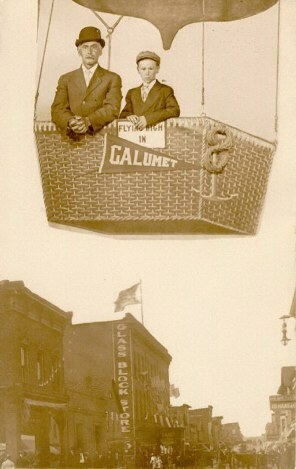 Here are more great images from Calumet. The photo at left is a fun picture, probably a father and his son, taken in 1909. A traveling photographer must have been visiting the Copper Country with his props, in this case a balloon. Click on the links below to go through the photos.